Preview the newest PBS KIDS show Let’s Go Luna! November 17 at WCNY. 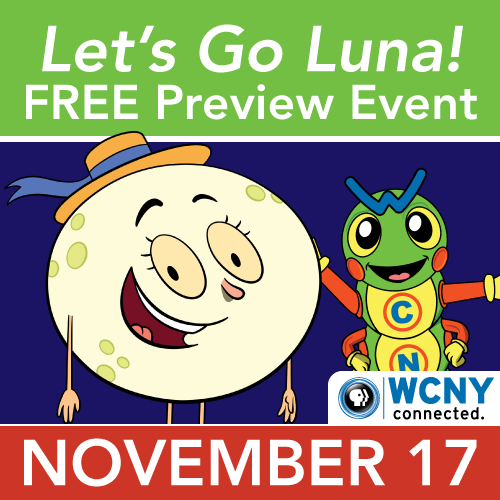 The event also features the launch of WCNY’s new WiCkNeY KIDS Mascot, The Connected Caterpillar, photos, snacks and a story time! See below for the schedule!